With the drugs and techniques nowadays available, acute pain management is relatively easy. Chronic pain, however, is more difficult to manage due to its complex anatomo-physiological basis. In these cases, special techniques are required; but we cannot forget that the best treatment is multidisciplinary, that no treatment, including these special techniques, is neither absolutely infallible nor definitive, and that every case is different and so must be assessed individually. Surgical procedures to treat the lesion responsible for the pain, such as disc herniation (microdiscectomy), back pain (facet denervation, decompression, spinal stabilization), trigeminal neuralgia (microvascular decompression) or amputation neuroma (section plus reanastomosis, reconstruction). Blocking the pain pathways using implantable electrical neurostimulation or drug delivery systems (known as “pumps”). Cutting or destroying the pain pathways, with lesive neurosurgery techniques. The location and origin of the pain, the patient’s physical condition and ability to co-operate, the availability of technical means, and the skill of the neurosurgeon and anaesthesiologist will all have to be considered when deciding which technique is the most suitable for that particular case. Neurostimulation is the phenomenon that happens when an electrical current is passed through the nervous system. This current excites or inhibits a specific structure without damaging the nervous system. Skin. TENS (transcutaneous electric neuro-stimulation) devices are used to treat mild pain. 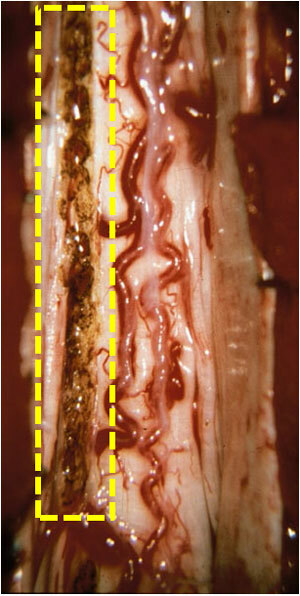 Around peripheral nerves, through a small incision in the skin. Spinal cord. In spinal cord stimulation (SCS) epidural electrodes are first placed, under local anaesthesia, in the operating theatre: with the patient lying face down, the electrode is introduced through a special needle into the desired spot. 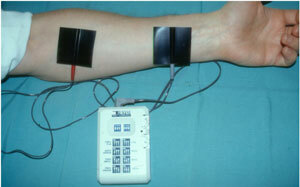 This electrode is connected to an RF receptor which is activated when an RF generator is placed on the skin covering the receptor. 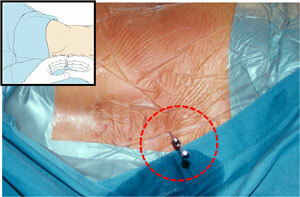 After some days of testing, the definitive generator is implanted in a subcutaneous pocket, under general or local anaesthesia. Deep brain. In deep brain stimulation (DBS) the electrodes are placed, through stereotactic techniques and under local anaesthesia, in a thalamic or diencephalic area. 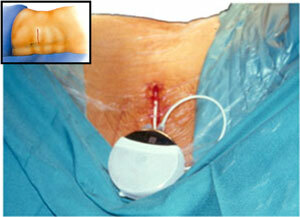 After 2-3 weeks of testing, the receptor and its connection are implanted in a subclavicular pocket. The receptor will then be programmed. Cortical brain. In cortical brain stimulation the electrode is placed directly on top of the motor area and/or sensory area of the brain. Drug delivery systems (DDS) consist of a catheter connected to a reservoir or a pump for the automatic delivery of drugs (opioids, local anaesthetics, steroids, Baclofen), usually close to the spinal cord (subarachnoid or epidural spaces). 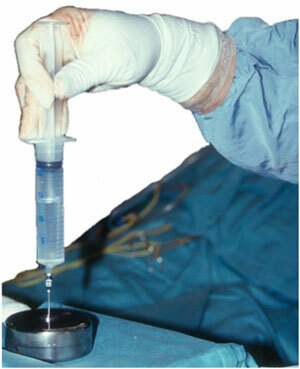 Implantation of pumps and reservoirs usually requires a minor surgical procedure. 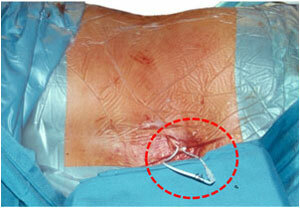 With the patient lying face down, the catheter is introduced through a special needle into the desired spot, guided subcutaneously to the implant pocket, and connected to the pump or reservoir. The wound is then sutured. If a reservoir has been implanted, to recharge it the skin that covers it must be pricked with a needle and then the medication injected into the reservoir using a syringe. Pumps are about 7cm diameter and 1cm thick, each one weighing 200g, and run on lithium batteries. They work automatically but need to be periodically percutaneously refilled by the doctor, and are usually used for the continuous administration of drugs to treat pain (opioids), be it acute or chronic, and spastic paraplegia (Baclofen). The foundations of lesive neurosurgery techniques are not new, but the technological breakthrough of the last 25 years has allowed those techniques to become more accurate, more effective and less aggressive. By the time a patient visits the neurosurgeon, however, they will have been suffering from chronic pain for a long time, at least 6 months, and will consequently show the resulting physical, mental, social, and even economic deterioration. This will not only affect the patient, but also their family. We are aware that these patients will thus need, not only accurate and minimally aggressive techniques, but especially both quick and effective solutions that will allow them to return to their normal lives as far as possible. Heat: radiofrequency (RF), magnetic induction, microwaves, ultrasounds. Ionising radiation: brachytherapy, radiotherapy, stereotactic radiosurgery. CHEMICAL: neurolysis using alcohol, glycerol or phenol. The most commonly employed method to treat chronic pain is heat, obtained using RF. Where more than one technique is suitable, the simplest one will be chosen; but the suitability of each technique will depend on the origin and location of the pain, as well as on the general condition of the patient. Any point between the origin of pain and the brain is liable to be destroyed to treat the pain, so, in order for the technique to be as effective as possible, the point with lower morbidity and recurrence rate will be sought. The degree of control that each point allows over any pain that spreads as the disease progresses will need to be considered, too, in cancer patients. In the peripheral nerve: neurectomy. Inside the spinal canal: rhizotomy, drezotomy, commissural myelotomy, antero-lateral cordotomy. 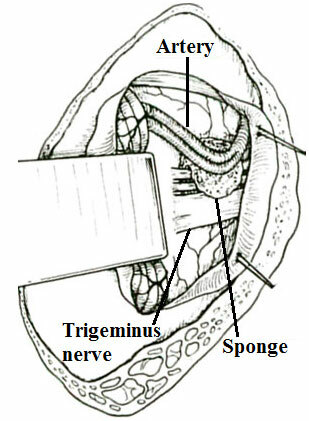 In the brainstem: trigeminal tractotomy, mesencephalotomy. 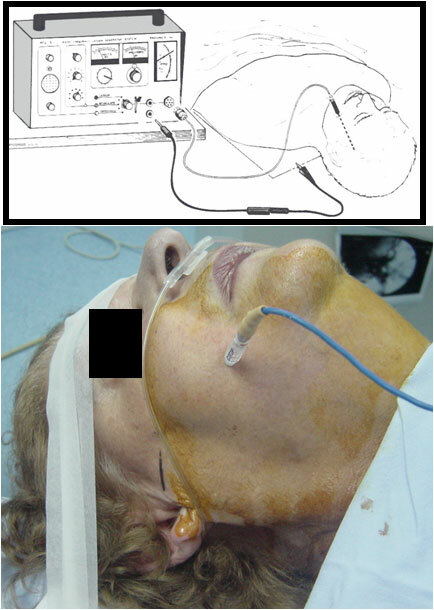 In the thalamus: various thalamotomies to treat syndromes such as facial anaesthesia dolorosa and thalamic syndrome. In addition, there are surgical procedures to treat the emotional and psychological reactions against pain (anterior capsulotomy, supracallosal cingulotomy). Their objective is that, though the patient will continue feeling pain, it will no longer be a bother. 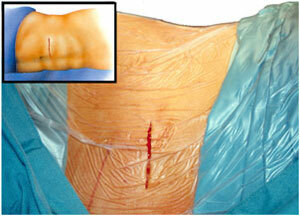 Out of all these procedures, two must be pointed out: drezotomy and commissural myelotomy. DREZ lesions of the spinal cord, used to treat pain caused by brachial plexus avulsion, phantom pain, painful paraplegia and post-herpetic neuralgia. DREZ lesions of the nucleus caudalis, used to treat facial neuralgia that has proven resistant to other treatments. Commissural myelotomy involves longitudinal sectioning of a segment of the spinal cord in two halves, one left and one right. The result is bilateral, symmetric analgesia some centimetres below the sectioned level. Commissural myelotomy is used to treat pelvic or perineal bilateral pain mainly due to gynaecological or urogenital cancer. The most common facial neuralgia is essential neuralgia or tic douloureux. 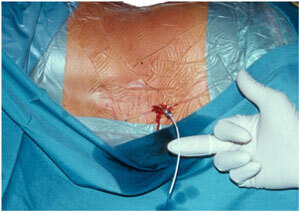 In patients below 70 years old and in good general condition, microvascular decompression is recommended. 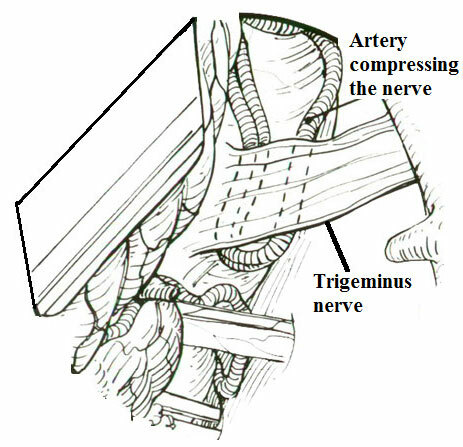 A plastic pad is placed between the trigeminal nerve and the artery that is compressing it. In patients older than 70 years of age or in poor general condition, and in patients who do not accept surgery, different, percutaneous techniques are recommended: compression (Mullan’s technique) if the pain sits in the Ist-IInd trigeminal branch or thermocoagulation (Sweet-Wepsic’s technique) if it lies in the IInd-IIIrd. For the Ist branch, injection of glycerol is also an option. To treat a typical patient neuralgia, which is resistant to other treatments, the possibility of carrying out a DREZ-otomy of the nucleus caudalis of the trigeminal nerve can be assessed. 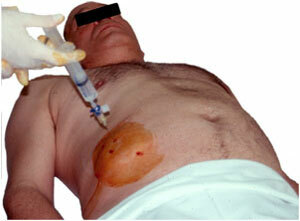 The treatment options are varied, depending on the type and origin of the pain and on the patient characteristics. Unfortunately, there is no treatment with 100% effectiveness, no infallible or definitive treatments; but nevertheless, the different treatment possibilities can always be assessed and considered for each particular case.